It started with a bracket issue for a sign. Simple enough. 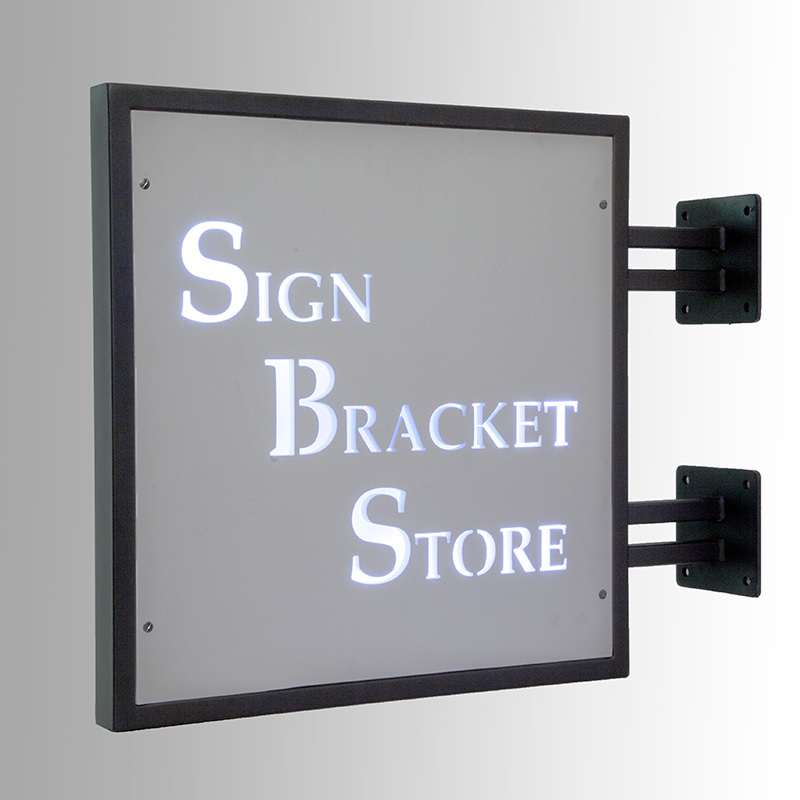 A client approached the Sign Bracket Store to solve a problem. They were looking for a specific bracket and sign frame and wanted it to be attached in a certain way. 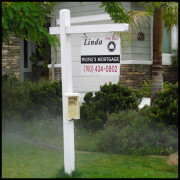 The challenge was to determine how best to design the custom bracket and sign that would meet the customer’s needs. 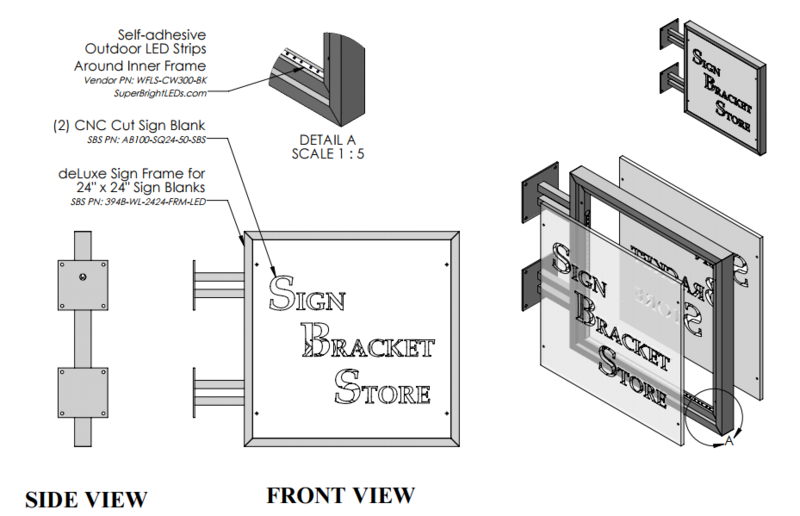 “Projects often come in this way,” says Chris Fasulo, in-house Mechanical Engineer for Sign Bracket Store. A graduate of UC Davis in Mechanical Engineering, Fasulo says, “I like the design side of things; it’s one of my favorite aspects of engineering.” Charged with problem-solving, he put his design passion and expertise to work. From there, a new product was born! 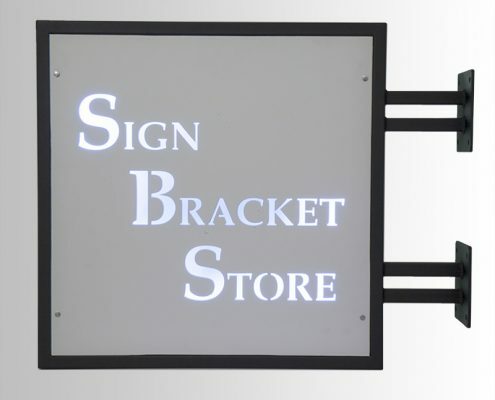 With assets like Chris, the Sign Bracket Store has a leg up on the competition when it comes to commercial signage solutions. In any project, how to approach the solution requires optimal structural and manufacturing analysis. “Do we want or need to solve this problem from the manufacturing side? Can solve it with nuts, bolts and hardware or does it need to be a welded construction?” More considerations are often required such as sign load, position of sign relative to the bracket, exact material call-outs and specifications, etc. 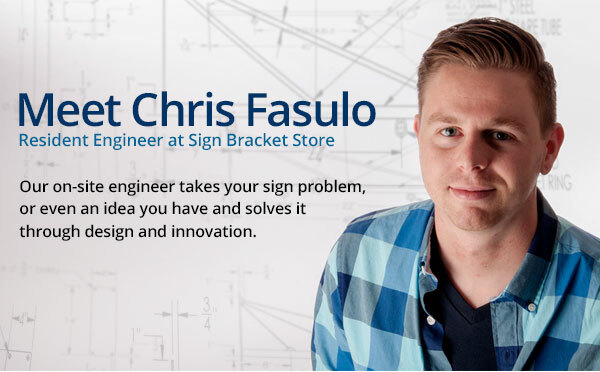 Not only did Fasulo solve the bracket and frame quandary for the specific customer, he also developed an entirely new sign product for all customers. 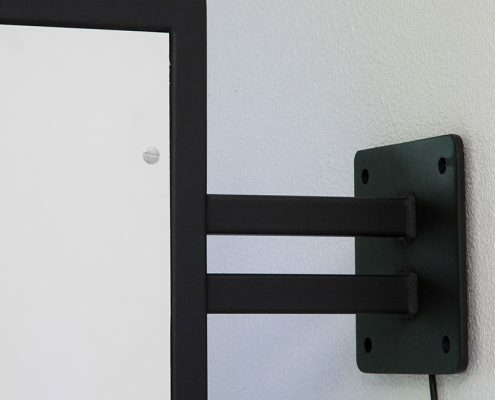 In this case, the customer provided a design they liked with double bars that came from mounting plates into a square tube frame. They wanted 1 sign mounted in the middle. 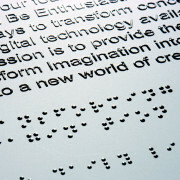 Previously, Fasulo had an idea that would incorporate LED lights into a design that would look like a backlit movie poster. So he decided to use this bracket to hold 2 signs sandwiched, adding internal tube lighting that would make the sign viewable from both sides. After the bracket and sign blanks came into the R&D office, he sourced “low-profile” sign fastening solutions to create a flush, consistent aesthetic. 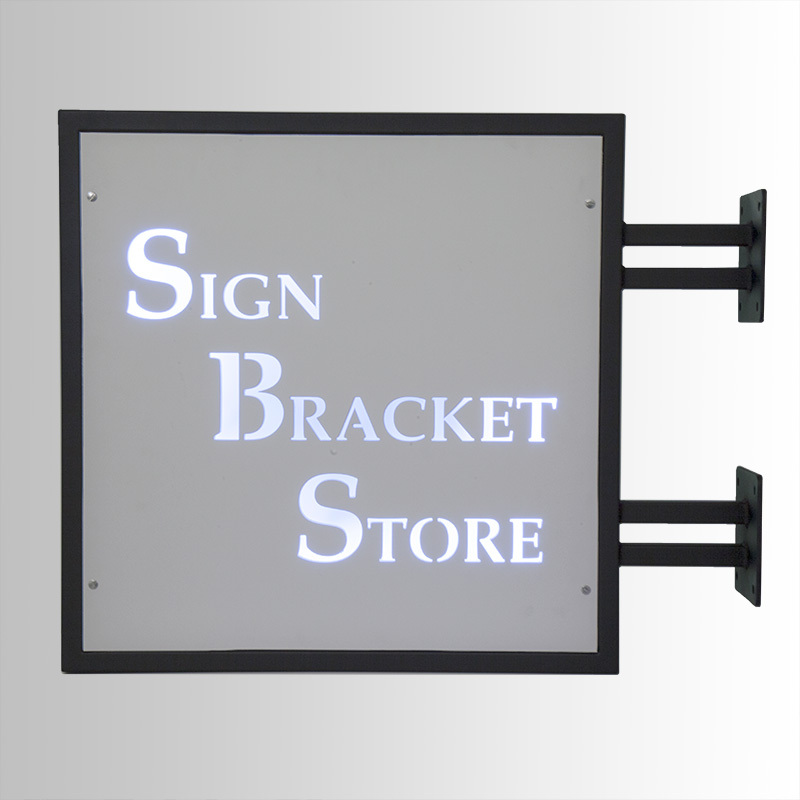 Low clearance sign brackets like the Deluxe Backlit are ideal for use under soffits and overhangs and for use as directional indoor office signs. 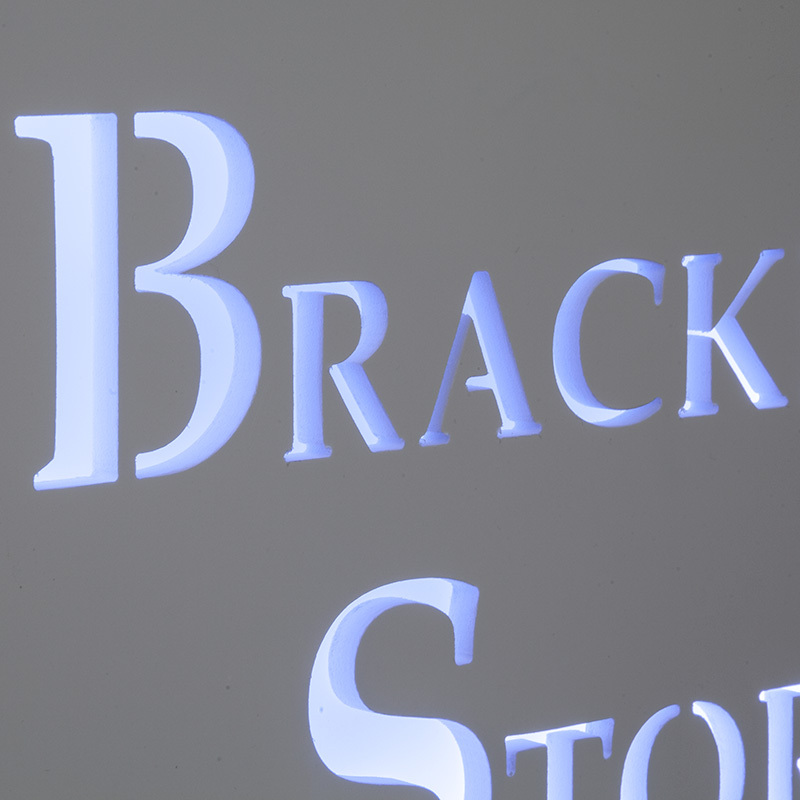 Adding LED illumination highlights your message crystal clear. As it turned out, that’s exactly what happened in what you see here; it grew into an interior-lit LED lighted sign. “Besides design, I like fusing engineering with design, coordinating all aspects of the project,” adds Fasulo. 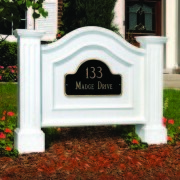 The Sign Bracket Store can CNC route any design needed, and all of our wrought iron brackets are handcrafted by artisans with decades of experience. 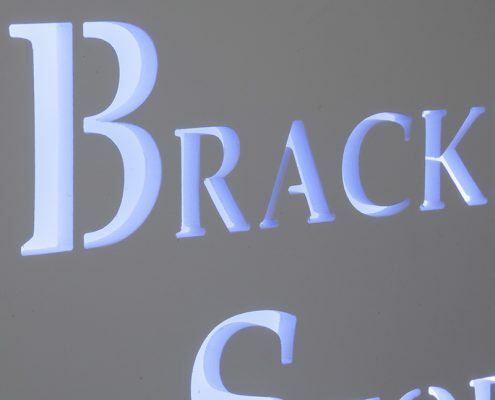 In another example, a staff member mentioned it would be great to have a stock-able bracket available for customers who needed something ASAP–but one that was individually adjustable. 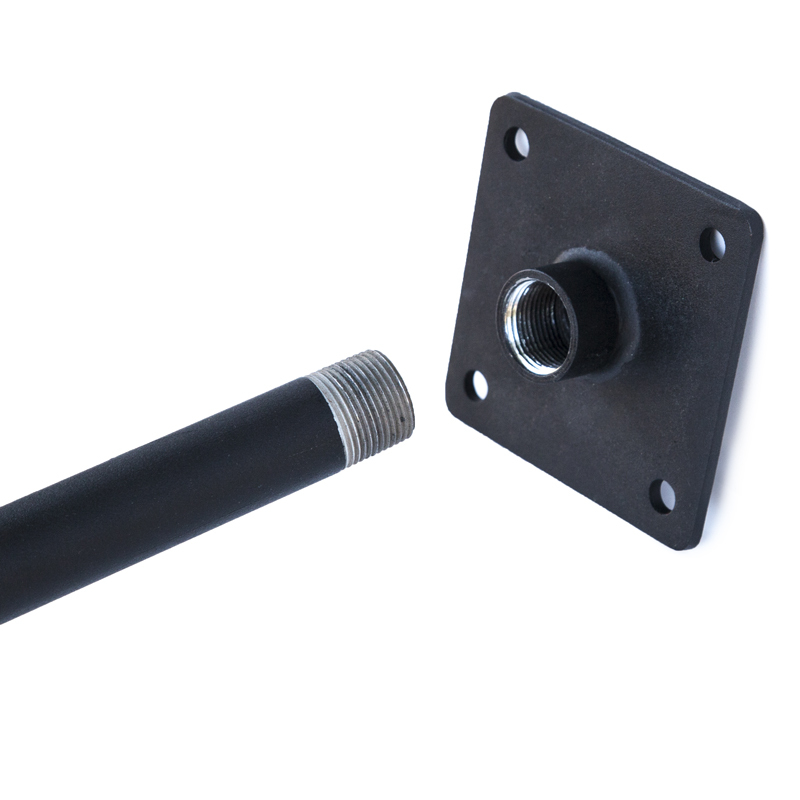 Doing a lot of custom work, manufacturing lead time for a single bracket can take several weeks. To expedite this, we wanted an off-the-shelf customer-ready solution that would be adjustable since applications can vary. 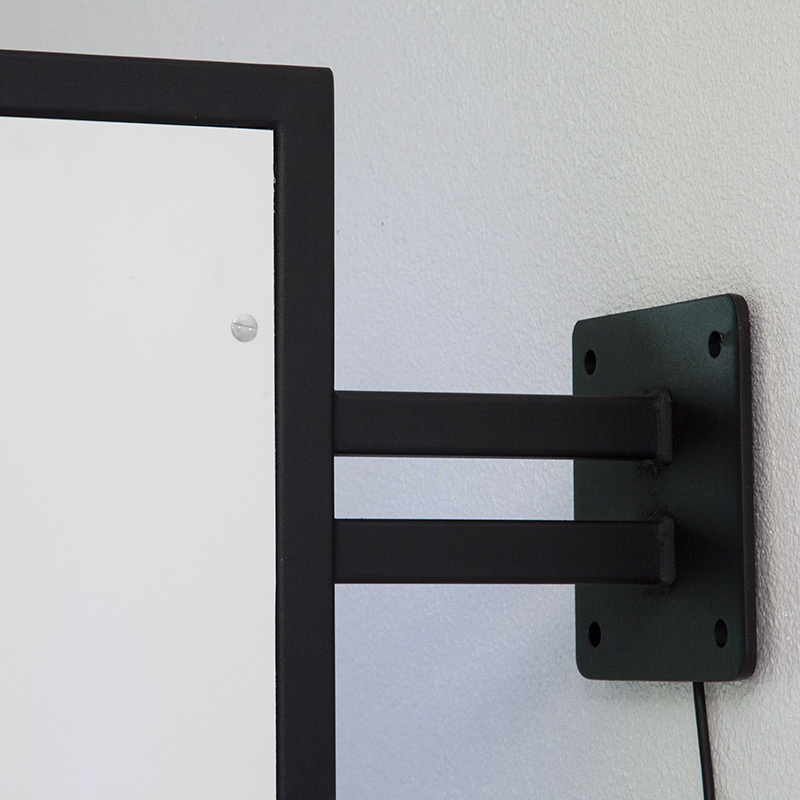 As an adjustable stop point for sign widths keeping collars in place. 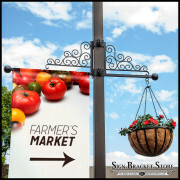 To provide small rings for the customer to hang the sign from. 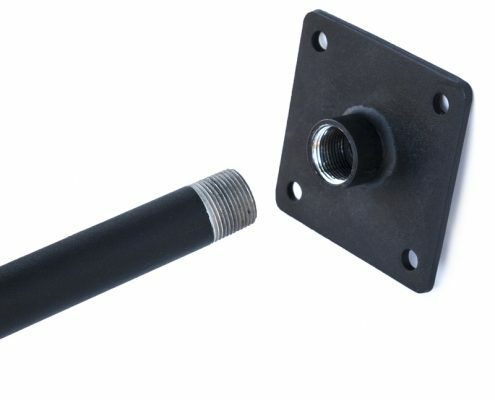 In the end, this bracket facilitates many simple applications where only small changes are required from “standard” sizes. 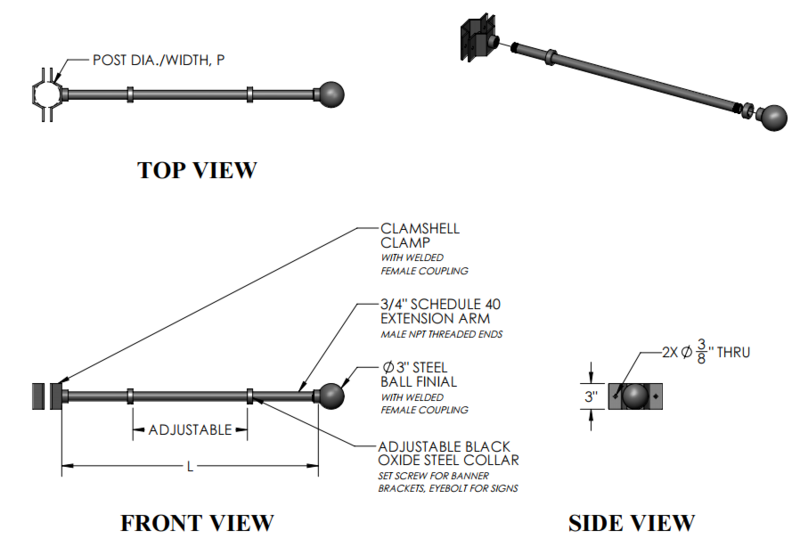 It allows the company to ship high-quality brackets ASAP, with all the components stocked and ready to go. Fasulo finishes with: basic innovation “allows us to free up manufacturing for larger, highly custom projects.” Everybody wins! 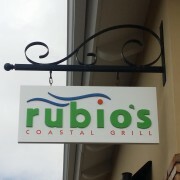 We are in the process of adding Chris’ Modular Sign Bracket design to the website. While much of Fasulo’s time is devoted to Sign Bracket Store, he also serves all departments within the company, from residential and commercial planters to artificial plants and business lighting too. With expertise such as in-house Engineer Chris Fasulo provides, we offer a service that sets us apart from most other companies. 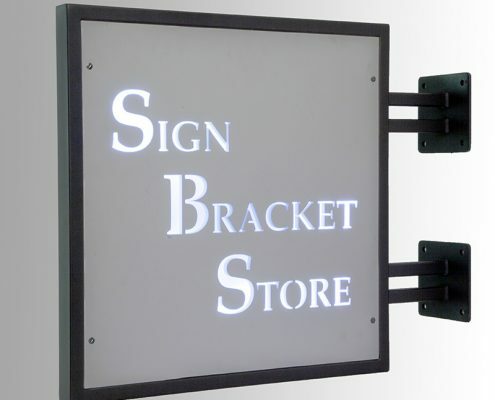 The Sign Bracket Store (and associated Carlsbad Manufacturing companies) offers unparalleled individual customer benefit, but all customers reap the rewards through new product adaptation and innovation. For additional information on Fasulo’s designs, or to work with our custom manufacturing team, please call 888-919-7446 today.